I’m always looking for ways to add a touch of color to my RV. You see, it is basically white and wood. Of course, there is nothing wrong with that; it makes the place look much bigger than it’s 400 square feet. But it could definitely use a pop of color or two. So when I ran across a fun crochet pattern for the Neverending Flower, I decided to create some vibrant pillows to spice up the place. 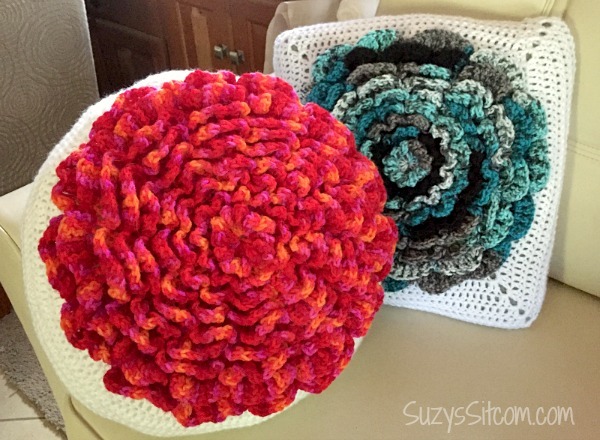 Oooh, reds and teals! My favorite color combination! This project is simple to create. If you are a beginner crocheter, you simply need to master the double crochet. Nothing fancy here. Even though it certainly looks like it. 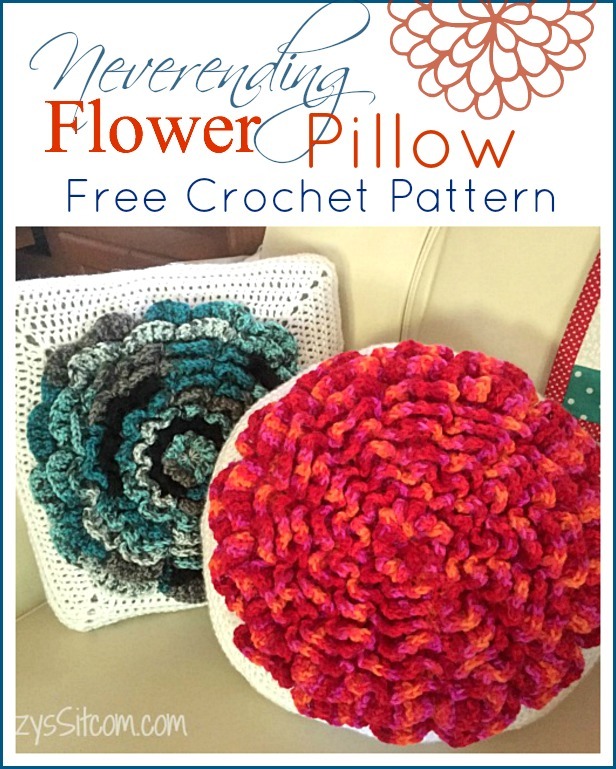 Need a crochet refresher course? 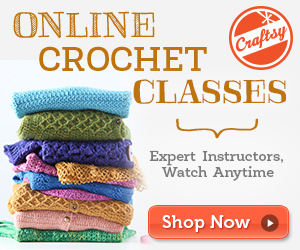 Don’t miss the online video crochet classes offered by Craftsy! You can watch them at anytime, and refer back to them when you need them! Perfect for those of us that learn by watching! Next post: How to make Clothespin Dolls!